Regarded as being the most magnificent and challenging section of the Great Wall, Jiankou is a dream for experienced hikers. Sense the history as you stand on the ruined Jiankou section of the Great Wall, which you can enjoy without being surrounded by a crowd. Go back in time and enjoy the glory of the Great Wall at Mutianyu. 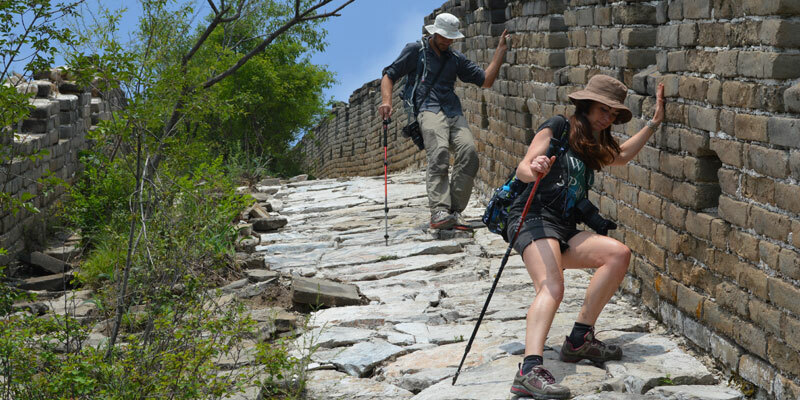 This one day Great Wall hiking tour from Jiankou to Mutianyu will allow you to see the collapsed, wild wall and the elegant, restored wall. This tour is private. Your own personal tour guide will hike with you all the way. Your guide will respond to your requests, meaning you can enjoy flexible arrangements to make the most of your time. Conquer the wild and precipitous Great Wall at Jiankou. Hike worry-free with your knowledgeable and experienced hiking guide. Fantastic Hiking Trip to Great Wall. Quite a Strenuous Hike at the beginning. Great Views and nice Guide, Peter. Booked through China Highlights. Very Good company. Nice Lunch after the Hike. They catered for Vegans. Your private guide will be waiting for you in your hotel lobby at 8am. The comfortable car and your driver will be ready for your one day hiking tour from Jiankou to Mutianyu. Unlimited water will be offered to you. It takes about 2½ hours to drive to Xizhazi Village, which is at the foot of the Great Wall at Jiankou. 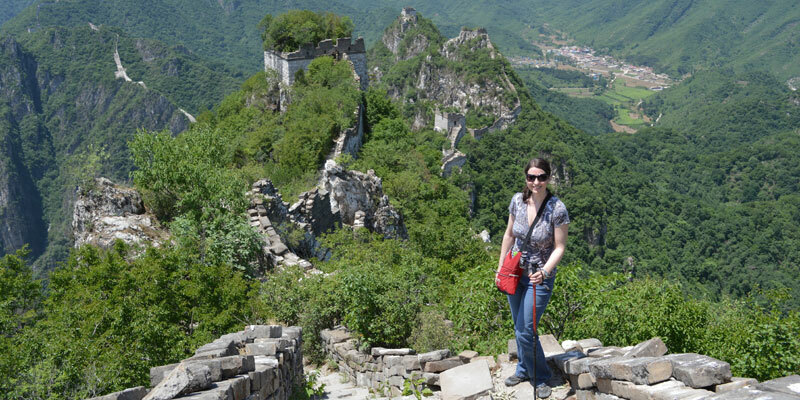 You’ll need to hike for about 1 hour up a mountain path to get to the Jiankou Great Wall. Climb the wooden ladder up into Zhengbeilou (‘Main North Tower’). 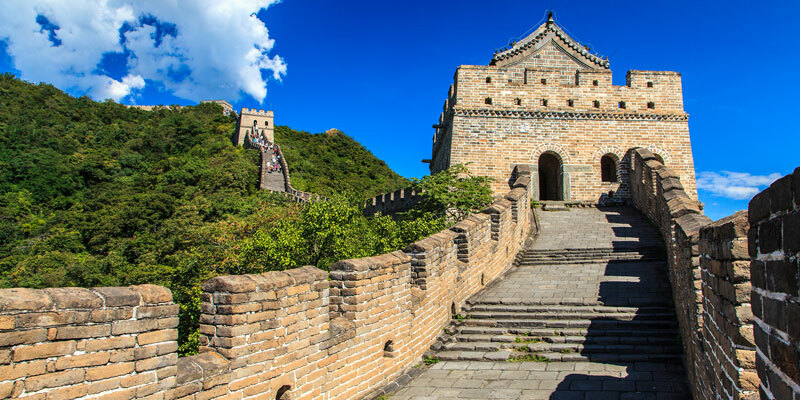 From this weathered watchtower, you will have breathtaking views of the Jiankou Great Wall snaking along rocky cliffs. Enjoy this magnificent vantage point and take some great photos. Hiking on the ruined Wall for around 3 hours to the restored section at Mutianyu, you’ll find parts of the wall are quite steep. Your hiking will involve steep ascents and descents on varied terrain, from muddy paths to rocky trails. Enjoy having the Great Wall to yourself. There are no tourist shops there, no tour groups, no crowds of Chinese, only you and your guide. With nobody to distract you, you can imagine what the Great Wall would have been like when it was manned with soldiers hundreds of years ago. Our guide will hike along with you, tell you vivid stories of the Wall, show you the best places for photos, and help you take them. Our tours are private and flexible. With no strangers to cater to, you can enjoy your freedom to explore and hike at your own pace. Your guide will respond to your requests, staying longer to explore the Wall if you like, or showing you the shortest, easiest route to save your energy. There will be a sharp contrast when you arrive at Mutianyu (‘Admiring Fields Valley’), with its gloriously restored Great Wall masonry and watchtowers. Relax as you walk along its sturdy blockwork ramparts. You decide how and where you descend from the Great Wall at Mutianyu. If you want to take the cable car or toboggan, just tell your guide, and he/she will be very happy to arrange it for you. 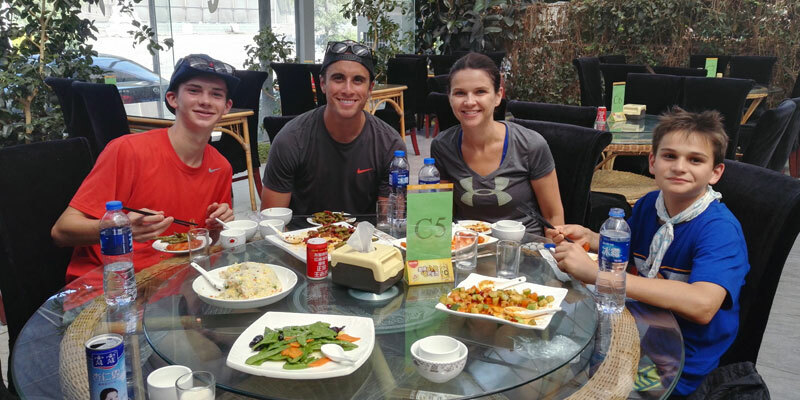 After descending from the wall, you will head to a local restaurant at the foot of the Mutianyu Great Wall for lunch. Your guide will help you order dishes. Enjoy your lunch and well-earned rest. Your private car and driver will take you back to your hotel in Beijing. It normally takes about 2½ hours. If you need to catch a flight or train after this tour, we are happy to arrange transport to the airport/station for you. The hotel pick-up and drop-off points in downtown Beijing are included. If you would like to be picked up or dropped off at the airport or train station, please let your travel advisor know. He or she will check your schedule and arrange this accordingly. You will go through bushes and jungle areas, so shorts are not recommended, even in summertime.